These links connect to web sites that are beyond the control of the Institution. The Institution does not endorse these Companies/Products — caveat emptor (the principle that the buyer is responsible for checking the quality and suitability of goods before purchase). 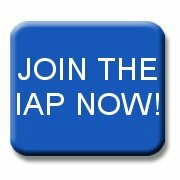 If you are a member of the Institution and would like your own site listed on these pages please complete the form in the Members’ Area. If you discover a broken link please e-mail the Web Master. What's your old insurance policy worth?